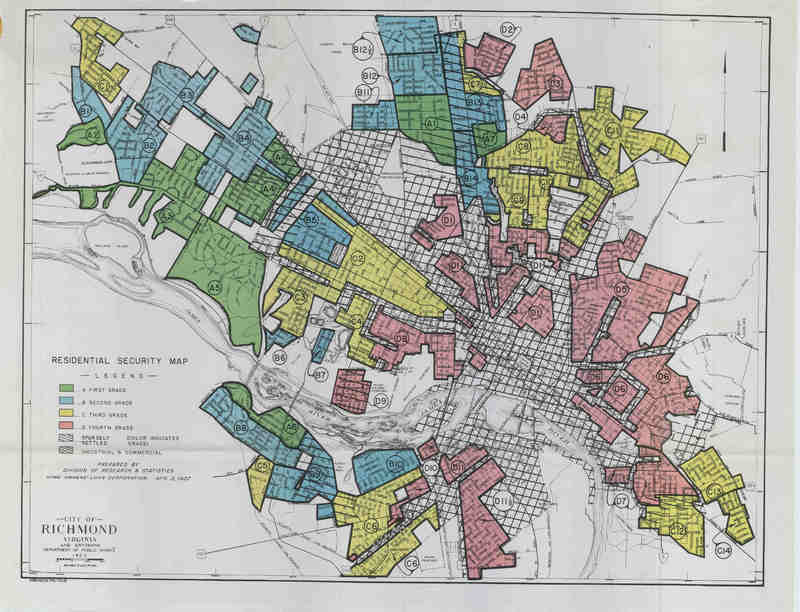 HOLC redlining map of Richmond. 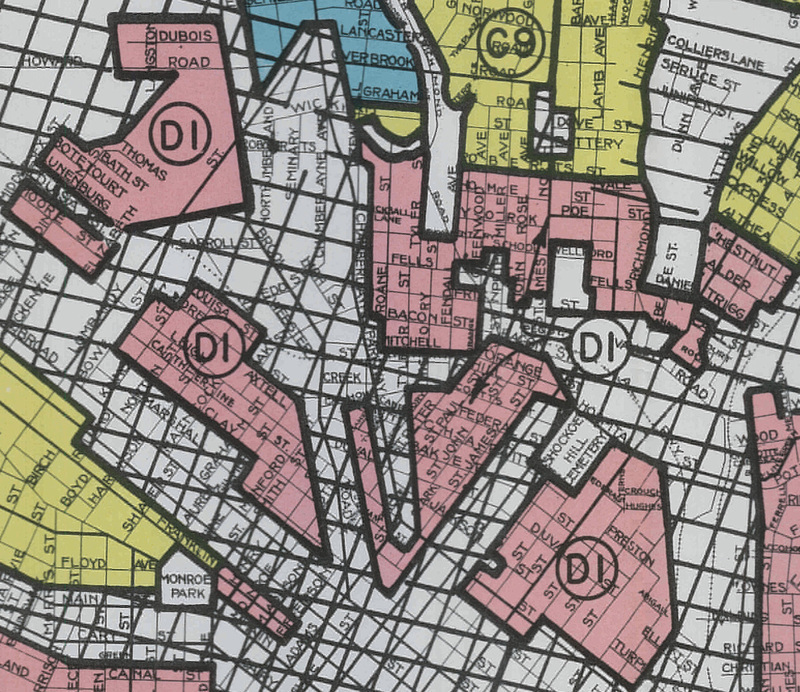 The neighborhood known as Church Hill was designated D1 in the redlining map made by the HOLC. Richmond had been an important commercial, financial, and government city since the colonial era. The Church Hill neighborhood was an old one and encompassed the original plat of the city of Richmond, where commercial development was mixed with residences. By the 1930s, the neighborhood’s key challenges were “demolition to save taxes” and exploitation by absentee landlords and HOLC rated it D. City residents organized the Historic Richmond Foundation in 1956 to advocate for preservation of neighborhoods such as Church Hill. The historic architecture and enduring significance of the neighborhood helped catalyze its revitalization in recent decades.